What are the best marketing tools available for Facebook? Look no further my friends, for I, your humble researcher, have compiled a list of 7 top Facebook marketing tools to help you boost engagement. Hootsuite is scheduling software that gives you your time back. Scheduling posts and campaigns on Facebook are time consuming. Hootsuite gives you the power to schedule your posts and campaigns well in advance. Hootsuite also helps you determine the optimum scheduling time for your content. Hootsuite provides you with an all in one dashboard for monitoring your Facebook Pages. 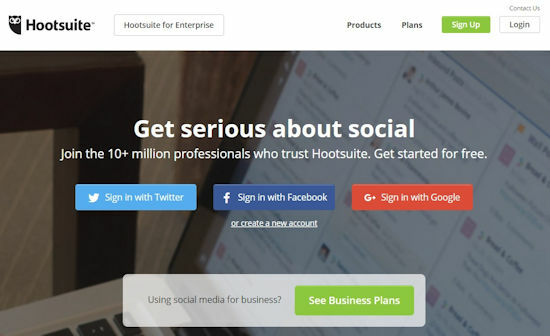 Plans start at $9.99 per month for Hootsuite Pro, which includes up to 50 social media profiles. Want to learn more? Check out our comparison between Hootsuite and Buffer. 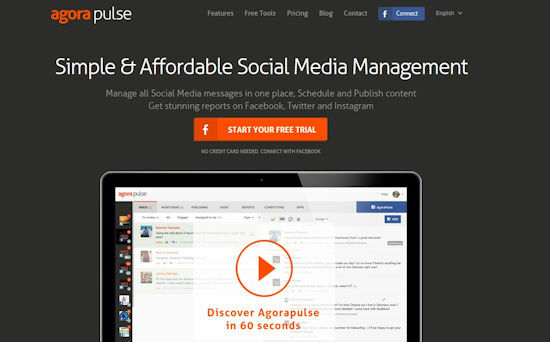 AgoraPulse provides a comprehensive Facebook publishing, monitoring, and reporting software. AgoraPulse uses an easy to use inbox system as a dashboard. Use this inbox to gain a snapshot of your pages activity. 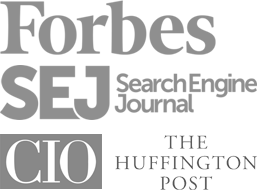 Use the publishing system to share content at optimal times. The content monitor will track the activity associated with your posts, and provide reports in the reporting dashboard. AgoraPulse starts at $29 per month for 1 account or page. The great thing about AgoraPulse is they also offer free tools for social media marketers who aren’t quite ready to commit to a monthly subscription. These tools include the Facebook Page Barometer, a Contest Manager, and Facebook Marketing University. Postplanner pulls the internet’s best posts, images, articles and status ideas into one easy to use dashboard. Simply link up your Facebook page, and start sharing content from Postplanner. Postplanner content is analyzed based on industry and engagement, and allows you to tap into trending topics and content. 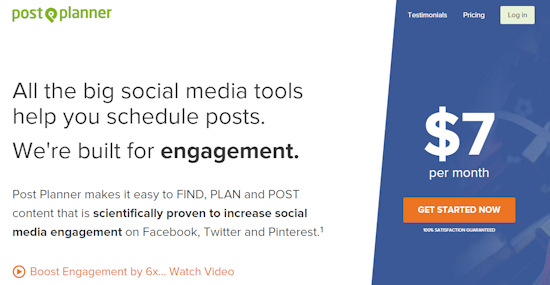 Starting at $15 per month, Postplanner is a great way to share content that is guaranteed to engage Facebook followers. Business to Business marketing is a completely different animal than Business to Consumer marketing. Enter Oktopost: the social media marketing solution B2B marketers has been praying for. Oktopost is essentially a beefed up version of Hootsuite for marketers targeting businesses. Oktopost tracks engagement, provides analytics, and measures your ROI through conversions. Oktopost starts at $55 per month for one user with up to 15 profiles. Canva is a phenomenal design tool for anyone looking to create branded images for social media. Canva provides customizable templates that fit the exact specifications for a Facebook Cover Photo, Profile Picture, or Facebook Post. Most of Canva’s design elements are free, but if you choose to use a design element, it is only $1.00. 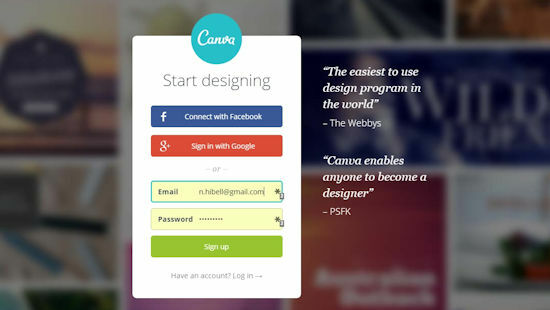 Canva recently unveiled Canva For Work, which allows you to create a brand kit for your business. Canva For Work saves your brand’s color palette, fonts, and design elements to create professionally designed content for your Facebook page. We won’t tell anyone you didn’t take Photoshop if you don’t. If you’re looking for a Facebook ad management campaign, Qwaya is the way to go. Create intuitive ad campaigns with Qwaya’s powerhouse design and reporting system. Qwaya allows you to create campaigns based on consumer segments or which phrases and images pair more effectively together. Launch your campaign and let Qwaya do the reporting. With features like automation, tracking, and Google and Microsoft integrations, Qwaya is the tool for professionals looking to take their Ad-Game to the next level. Qwaya begins at $149 per month for unlimited posts and campaigns. While Personapp isn’t technically designed for Facebook, it can help you with your marketing efforts on Facebook. 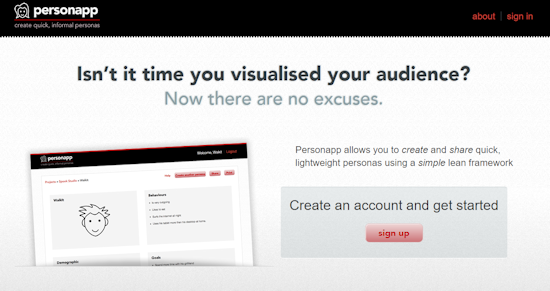 Personapp is a free and simple to use platform that helps you create buyer personas. As a marketer, you know that creating a campaign that targets specific individuals will have more success than a broad spectrum campaign. Using Personapp allows you to create quick and easy personas of the consumer you are marketing to. Create a persona based on gender, age, demographics, general interests, and needs and wants.It might sound simple, but creating buyer personas will help you target your campaigns to individuals, who are ultimately your end buyers. If you’d like to avoid the use of third-party apps and software, you can automate quite a bit of your campaigns through Facebook’s existing marketing options. For example, Facebook does give you the option to schedule posts ahead of time. You also have access to basic reporting and analytics through the network’s tracking system. You also have the option to run split-test for campaigns to see which consumer groups are engaging with your content. While Facebook does host quite a few useful tools for new users, more advanced users will quickly see the benefits of using the tools alone, or in combination with one another. What tools have you used to increase Facebook engagement?